Broderick Bode is strangled to death by a Devil's Snare while in St Mungo's. Ten Death Eaters, including Bellatrix Lestrange, escape from Azkaban prison in a mass breakout. 14 February: Harry Potter and Cho Chang have their first date in Hogsmeade. Afterwards, Harry is interviewed by Rita Skeeter for The Quibbler, as arranged by Hermione Granger and Luna Lovegood. Dumbledore's Army is discovered after Marietta Edgecombe informs Dolores Umbridge about the organisation. Albus Dumbledore takes the fall and leaves Hogwarts School of Witchcraft and Wizardry. Fred and George Weasley depart from Hogwarts, jinxing Inquisitorial Squad members on their way and leaving a Portable Swamp behind, and open Weasleys' Wizard Wheezes in Diagon Alley. Gryffindor versus Ravenclaw at the last Quidditch match of the school year. Hagrid introduced his half brother, Grawp to Harry and Hermione. Dolores Umbridge and some Aurors attack and attempt to arrest Rubeus Hagrid, McGonagall attempts to defend Hagrid. Minerva McGonagall is stunned severely by the Aurors, Hagrid defeats the Aurors, outwitts Umbridge and escapes from Hogwarts and forced into hiding. Umbridge is attacked in the Forbidden Forest by centaurs when she calls them "filthy half-breeds." Harry Potter, Ron Weasley, Hermione Granger, Neville Longbottom, Ginny Weasley and Luna Lovegood thwart Lord Voldemort's plans to steal the prophecy and the Battle of the Department of Mysteries ensues. The Order of the Phoenix comes to their assistance; various Death Eaters are captured; the prophecy is destroyed and Sirius Black is murdered by Bellatrix Lestrange. Voldemort duels Dumbledore and possesses Harry, but flees when the Ministry of Magic arrive. Minister for Magic Cornelius Fudge is forced to accept Voldemort has returned, Umbridge is removed from Hogwarts and Cornelius resigns from Minister for Magic. The Second Wizarding War officially begins, according to the Ministry of Magic. 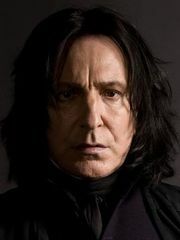 Severus Snape makes the unbreakable vow. Mr. Ollivander mysteriously disappears. The Brockdale Bridge and the Millennium Bridge are brought down by Death Eaters. Rufus Scrimgeour replaces Fudge as Minister for Magic. Draco Malfoy begins his duties as a Death Eater. Harry Celebrates his 16th Birthday at the Burrow, but the celebrations are marred by grisly tidings from Remus Lupin of more Dementor Attacks, and the discovery of Igor Karkaroff's body in a shack up north. Rufus Scrimgeour sends a letter to Albus Dumbledore trying to get him to convince Harry Potter to become the Ministry of Magic's poster boy. 1 September: the first meeting of the Slug Club takes place on the Hogwarts Express. Harry sneaks into Draco Malfoy's compartment and get's hit with a Full Body Blind Curse. Nymphadora Tonks rescues him and Severus Snape takes him to the Welcoming Feast. 20 December: Horace Slughorn, new Potions professor at Hogwarts, holds a Christmas party for his favourite students and other associates. Christmas holidays: Minister for Magic Rufus Scrimgeour tries to convince Harry Potter to work with the Ministry of Magic, but Harry confirms his loyalty to Albus Dumbledore. This page was last edited on 13 August 2015, at 12:42. This text is available under the GNU FDL and may have been adapted from the Wikipedia article about 1996 (history).